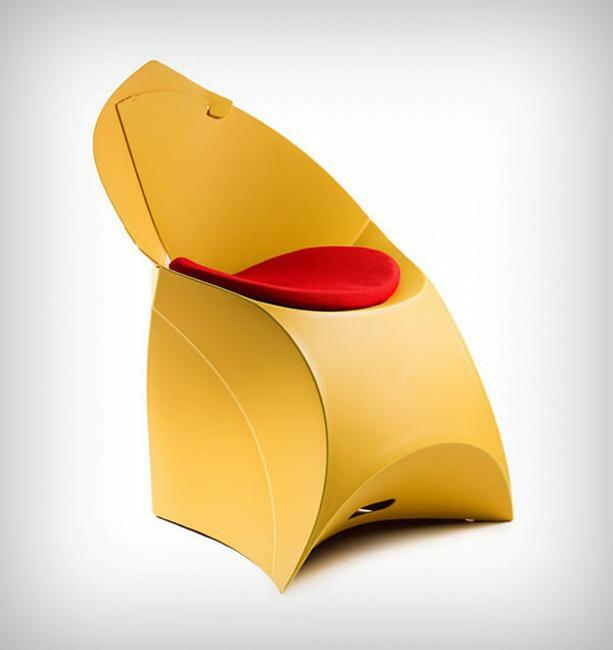 Modern chair design delights with bright colors, functionality, and lightweight. The folding chair is called Flax. 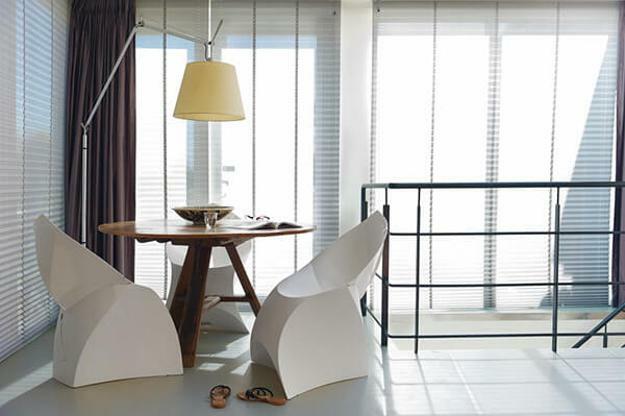 Folding chairs are convenient furniture items, particularly in small homes. You can fold it, store it, carry around, use in any room enjoying the light, unusual, and practical design. The modern chair is not cheap, but the contemporary, functional, attractive, and bright design is worth it. The Flax chair design is about a transformation and space-saving. 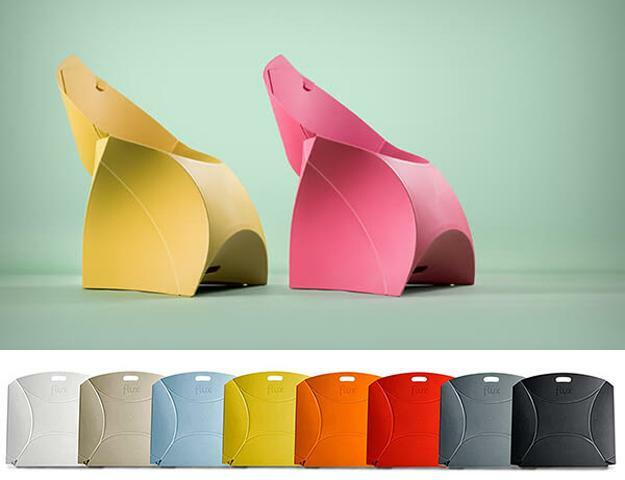 The modern chair quickly turns into a large polypropylene envelope. 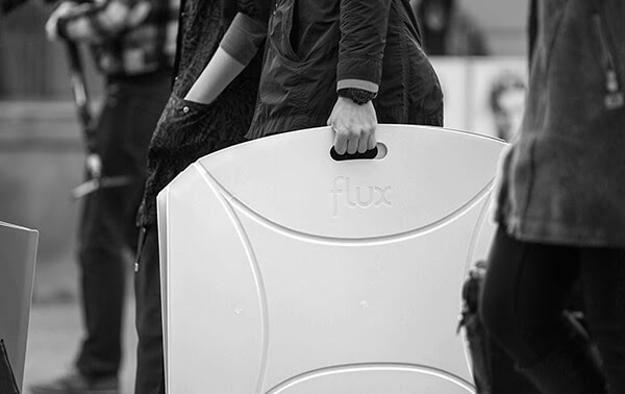 The briefcase-sized, portable chair is a contemporary blend of the functionality and appeal. The colorful, contemporary design makes the chair a perfect accents for nomad interiors and outdoor rooms. The modern chair folds and decorates the space, providing a convenient solution for a seat, mixing the practicality and function with the originality. The space-saving furniture item comes a wide variety of colors and a junior size for children. The design idea is inspiring and has excellent potential in the segments of portable furniture for contemporary nomads and folding chairs for beach bars.